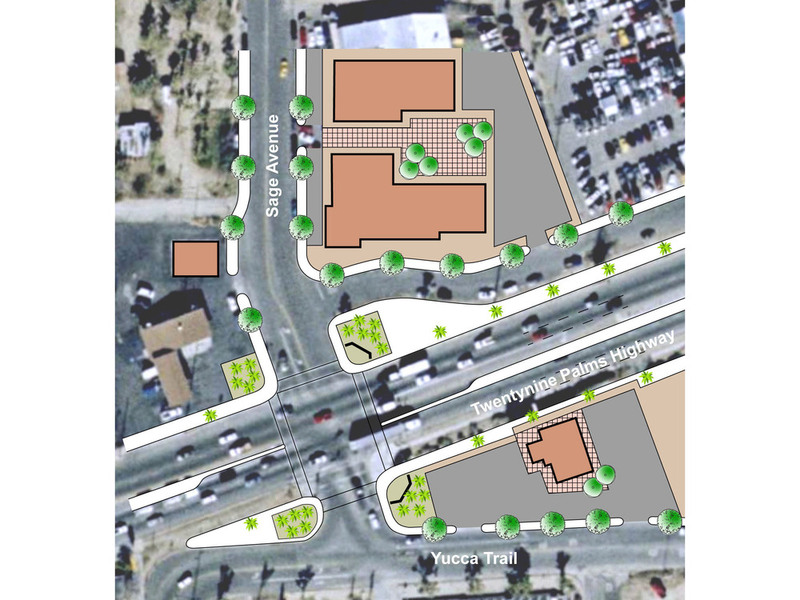 The Arroyo Group led a multi-disciplinary team to prepare a land use and mobility plan for the Mid-Town area of Yucca Valley. This Plan provides the tools and implementation strategies to develop and redevelop the Towns commercial core. The primary objectives of this Plan were to identify opportunity sites and conceptual land use options that could include increased housing densities and mixed uses, as well as explore pedestrian linkages between public transit, the Government Center and major recreation, commercial, and education nodes of activity. In addition, Yucca Valley is a gateway community to Joshua Tree National Park, and the Town wishes to enhance its image and destination appeal to capture more visitors using the National Park. This Plan also identifies potential partnerships and implementation strategies among and between public and private entities for jointly developing programs and/or policies directed at improving livability and mobility within the Mid-Town area.